AMRITA otherwise know as “Nectar of the Gods” is a mind refreshing beverage that will relieve stress and revitalize you. If your body and brain are moving a bit slow after a long night or rough day then step up your game with 100% all natural AMRITA. Maybe the Gods have something do with it since AMRITA has been voted the #1 shot beverage 3 years in row! 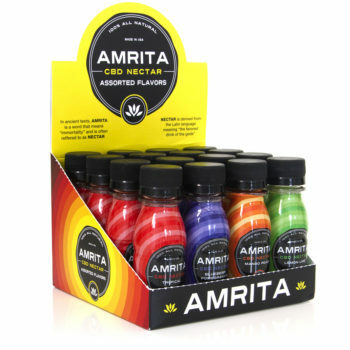 AMRITA is a 2.5 fl oz (75ml) shot beverage that can be consumed all at once or over time.